Packing Supply provides amazing offers and discounts on various packaging materials available online. Here you can find latest updates on the ongoing discounts offered and the upcoming sale. Want to be the first one to know about our offers and discounts – Subscribe to our newsletter service now! Use this coupon code (NEW200) to get Rs 200 in your Packing Supply wallet. Note: This coupon code is valid only for new user. Max redeemable amount per purchase is Rs 50 and coupon code is valid only for new user till 30th April 2018. 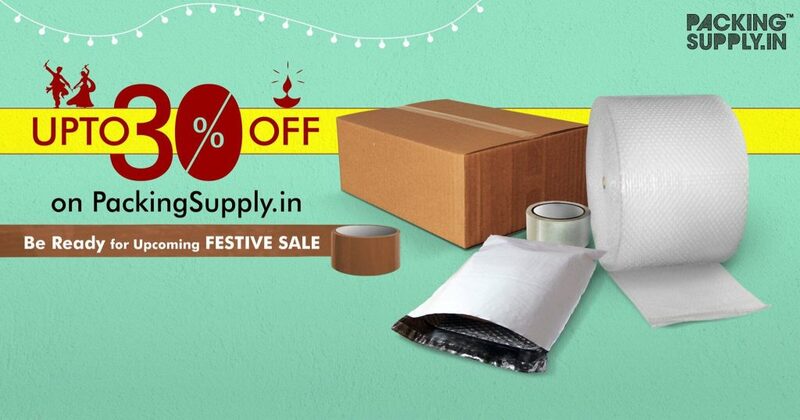 Special Festive Offer On Packaging Materials and Products. 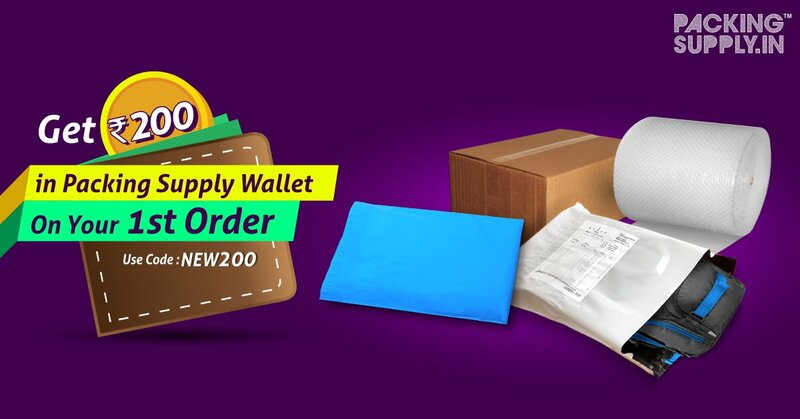 Place Your Order & Get Up-to 30% Discount on plastic courier bags, poly envelopes, bubble wrap rolls, corrugated boxes and BOPP packing tapes. Note: This discount offer is valid till 31st Oct 2017.